Nice old footage of the high banks in Oakland. There are a couple books on the subject available at Coastal181 here and here. Got to get into a rhythm again. Big time racing with Jackie, Bruce, John, Dan and others. I've been lost in space or something. Here's a new blog that features photos from Seattle's Aurora Speedway. 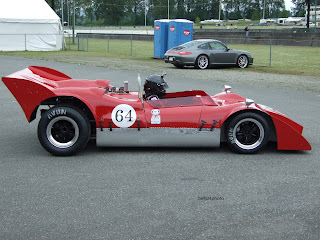 A couple photos from the 2011 Mission Historics. 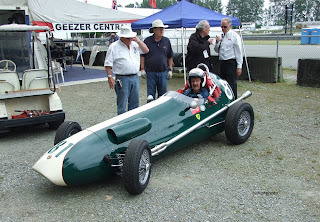 One of Bill Sadler in his Sadler Formula Junior, and another of the Stan Burnett Mk II. Bill Sadler is the special guest for the weekend of racing. A few clippings. A picture of one of the early local midget racers, Walt Armstrong, along with an ad from 1941 that mentions the B.C. 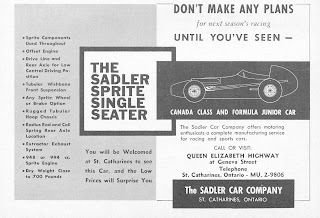 Midget Auto Racing Association which, after the war, helped bring racing back to various locations, including Digney and False Creek Speedways. 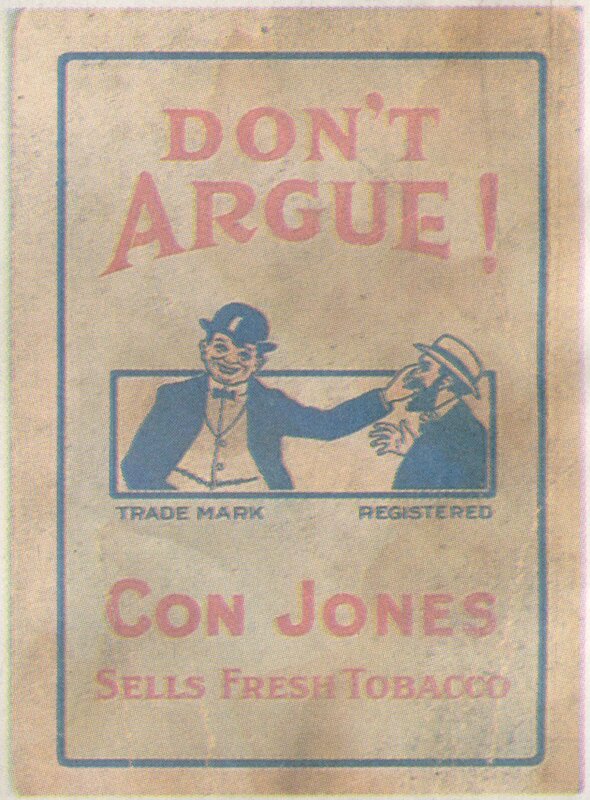 Con Jones Park was built by Con Jones, from Australia, a tobacconist, who tried to get professional field lacrosse started before World War One. He brought in Newsy Lalonde to play on his team for a reported $5,500 for one season. 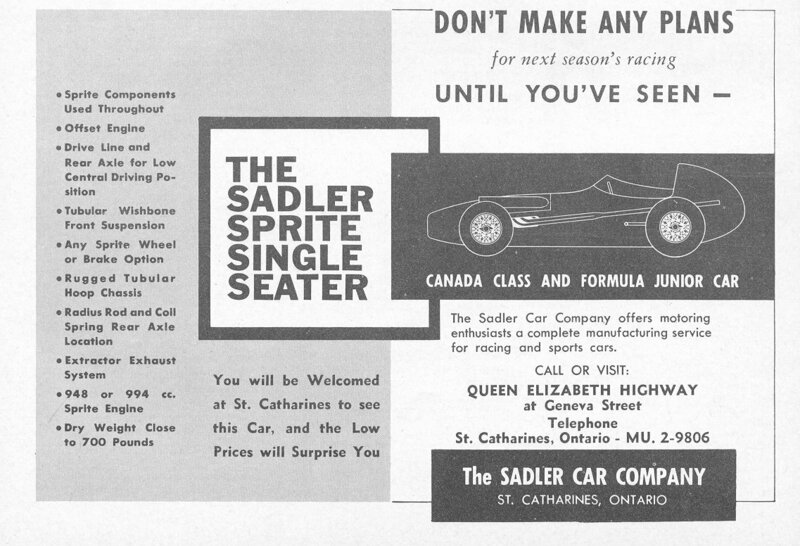 Interesting ad below that includes an admission price for the "unemployed" at 10 cents. The depression wasn't over until the Second World War began. An ad for an outboard race. And a couple photos of Seattle racers, Swede Lindskog and Tommy Legge. 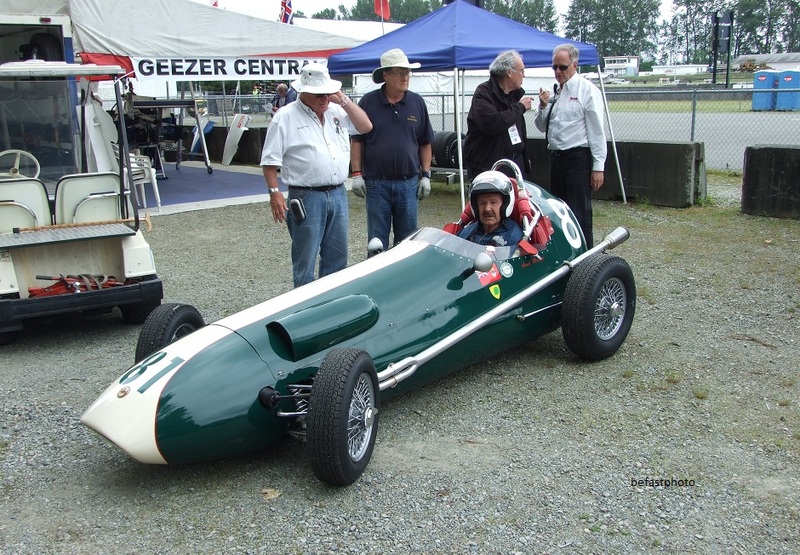 The guy standing to the right is Glen Shaw, of Seattle, one of the pioneers of racing from that city. Results for that first midget race. So the Canucks are up to something, all good hopefully. But there is a hockey history to the early days of motorsport around here. 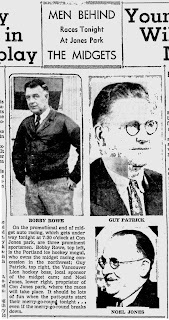 Midget racing, introduced first in 1937 and then brought back on a regular basis in 1939, was the brain child, in the northwest at least, by hockey promoters Bobby Rowe, of Portland, and Guy Patrick, of Vancouver. Rowe was player/coach of the Buckaroos and had played on early teams including the Seattle Metropolitans that won the Stanley Cup in 1917. Patrick was the brother of Frank and Lester, hockey hall of famers. 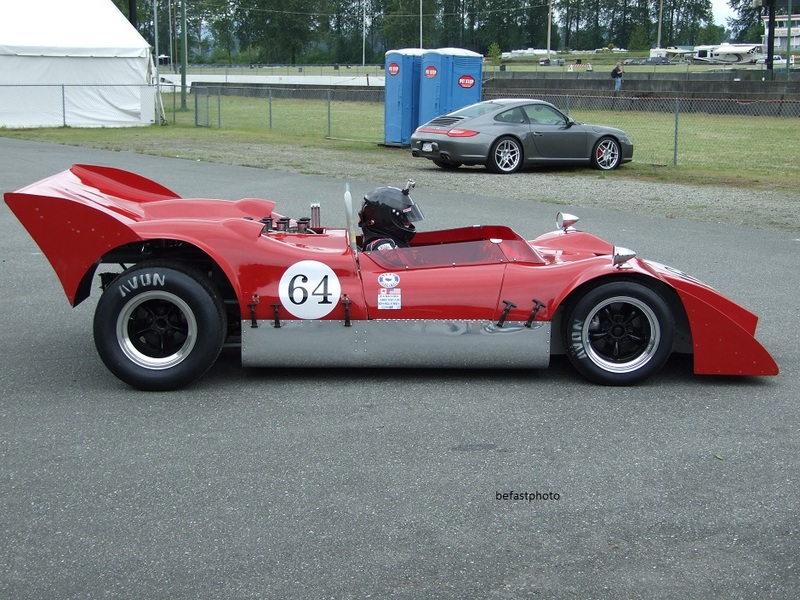 So, yeah, hockey helped bring in midget racing to Vancouver. From the internet archive, "a night at PGARA". Cool!